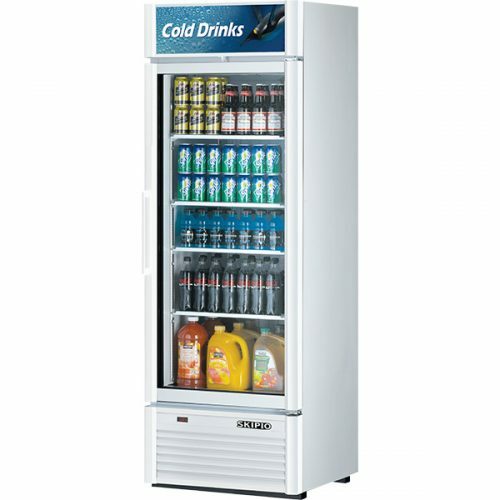 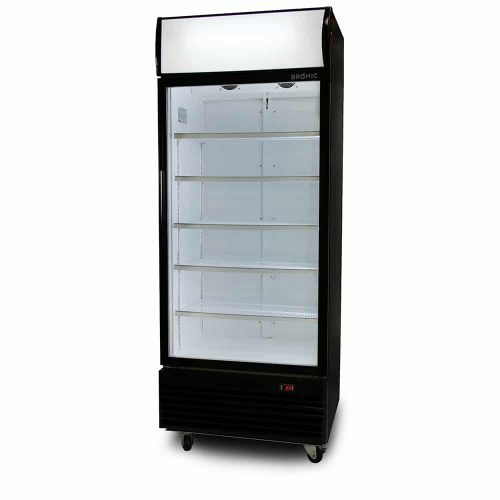 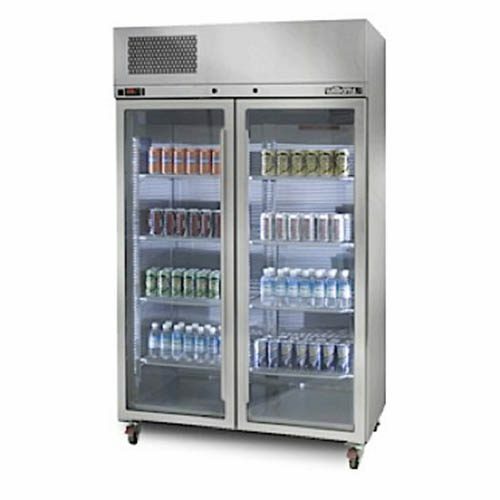 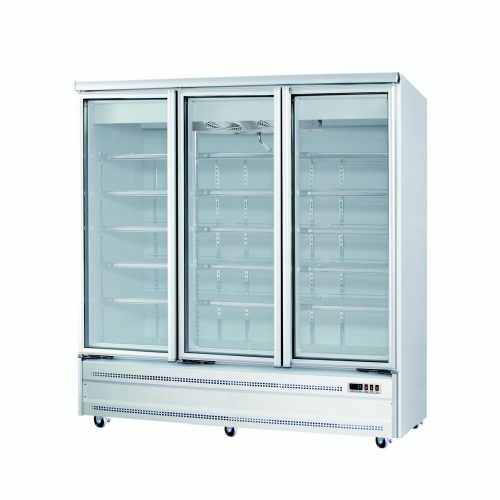 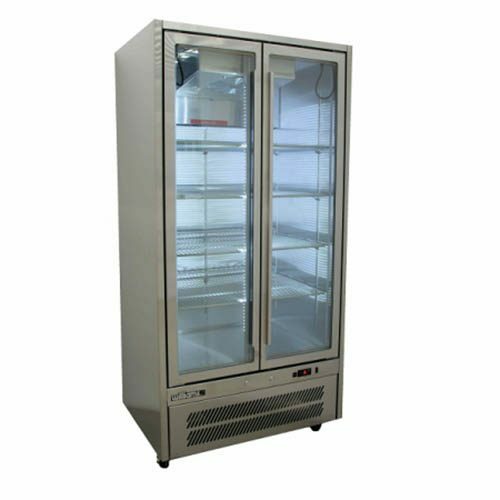 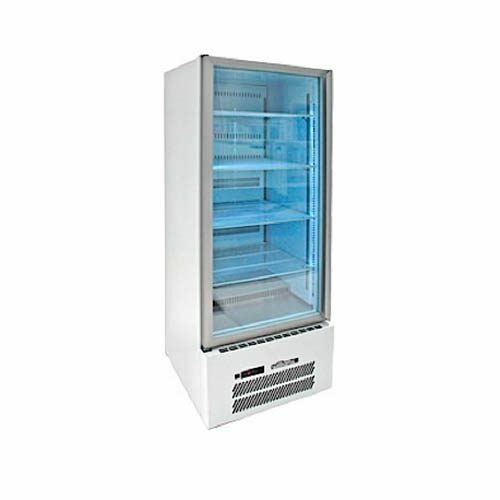 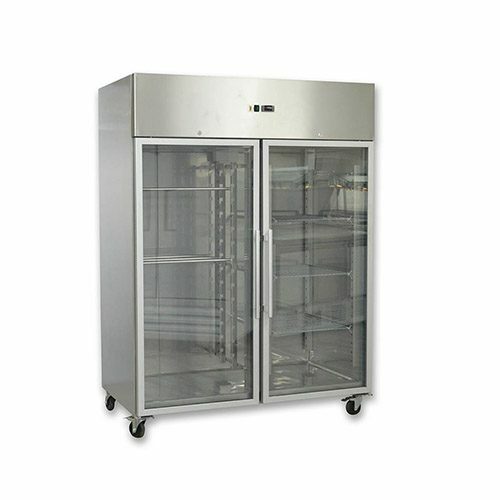 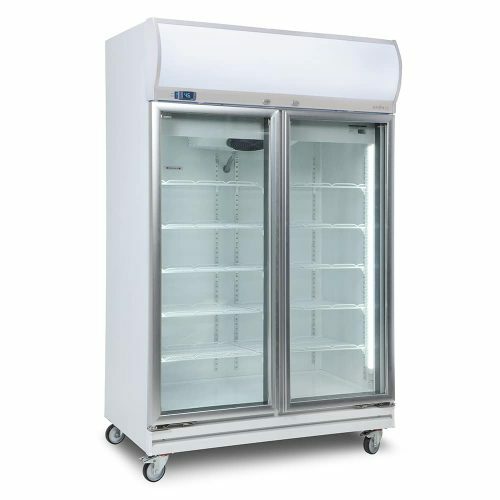 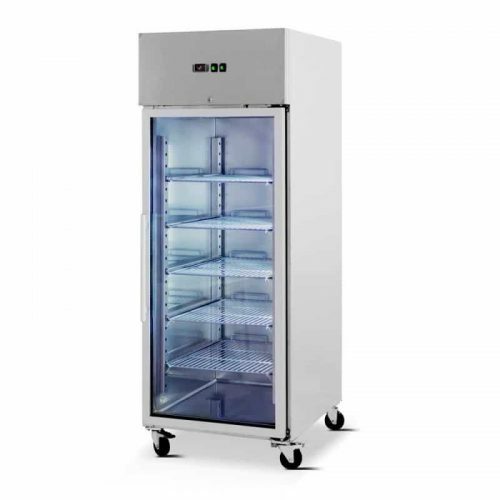 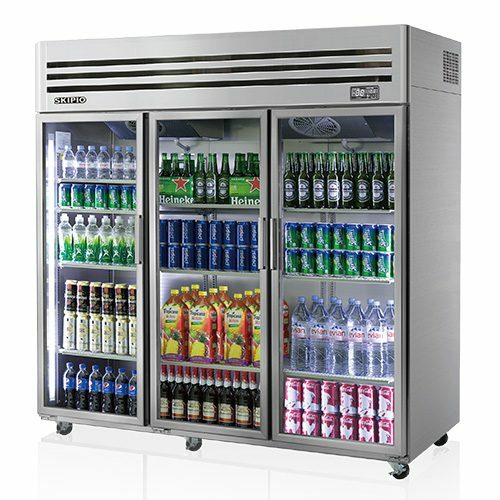 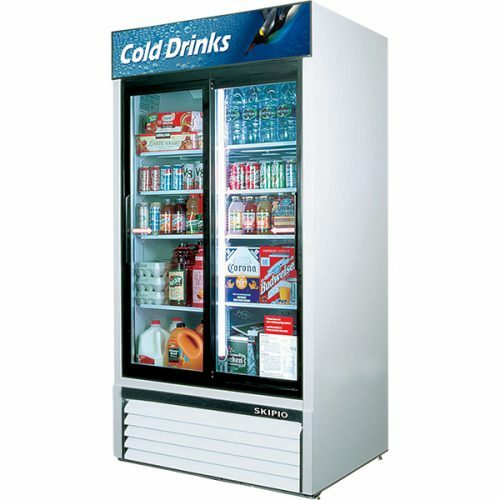 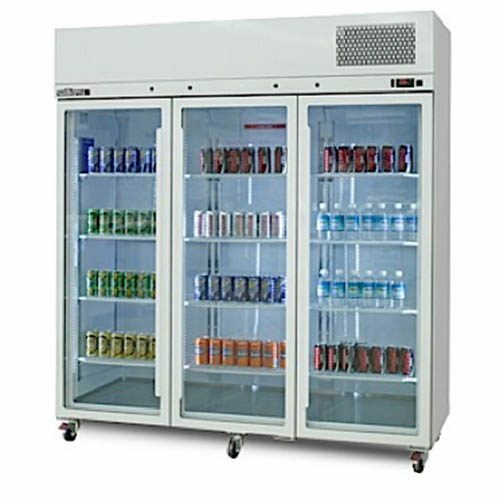 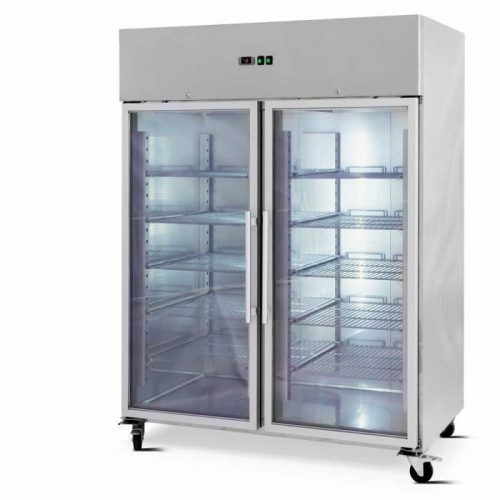 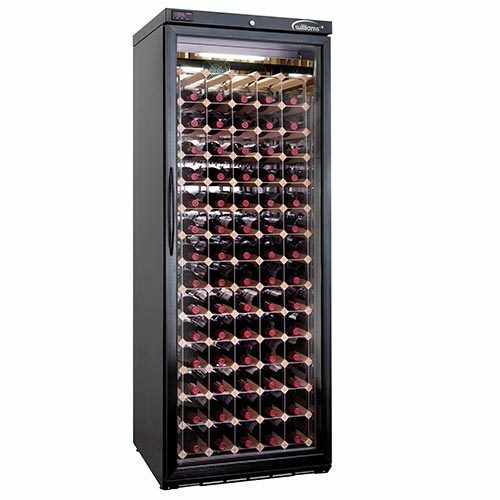 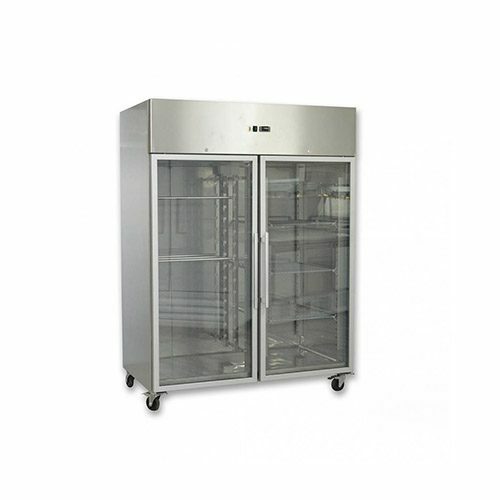 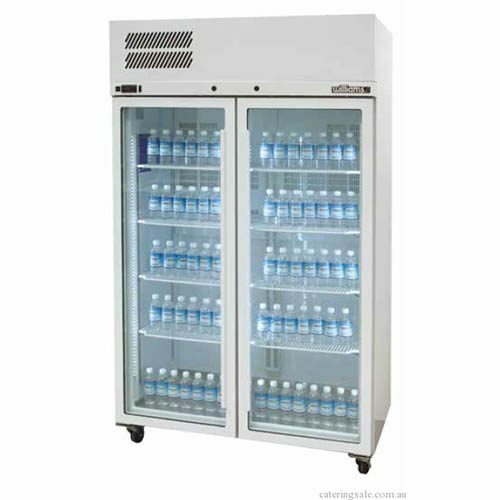 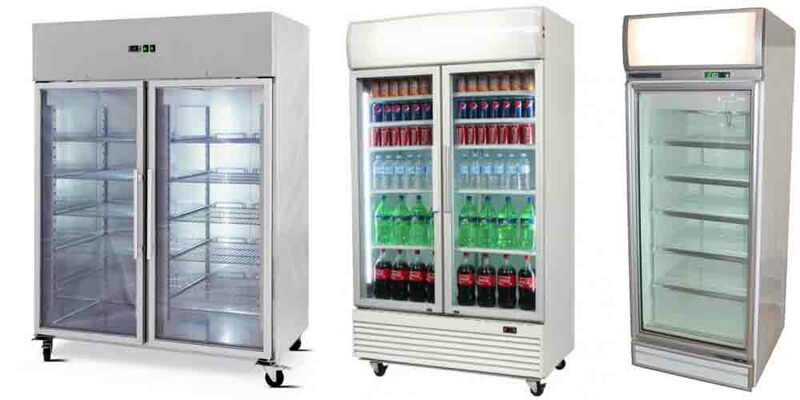 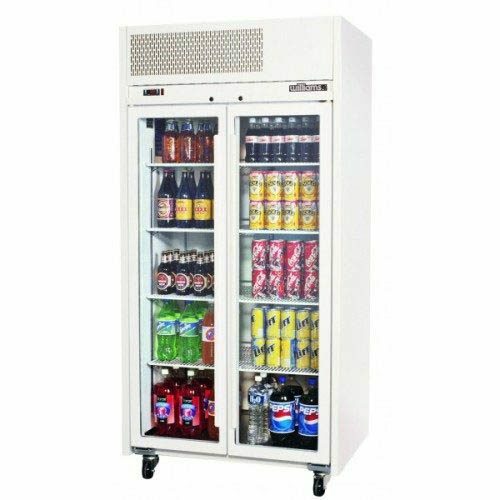 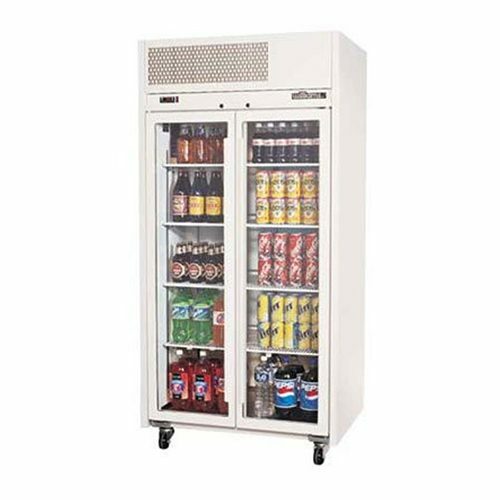 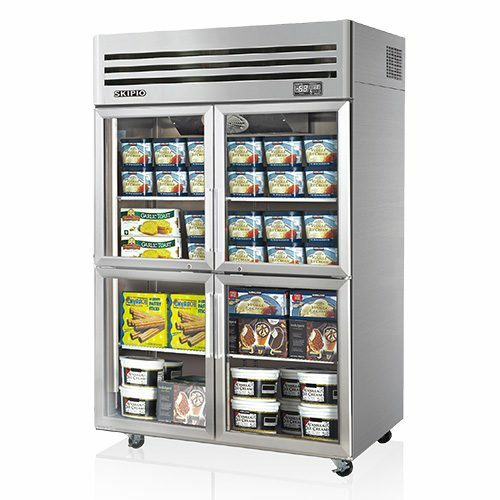 Commercial Upright Glass Door Display Fridges & Freezers designed for displaying products. 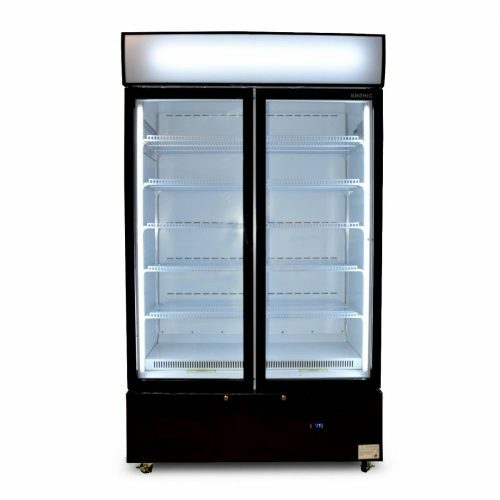 With perfect interior lighting and perfect for product displaying dairy products. 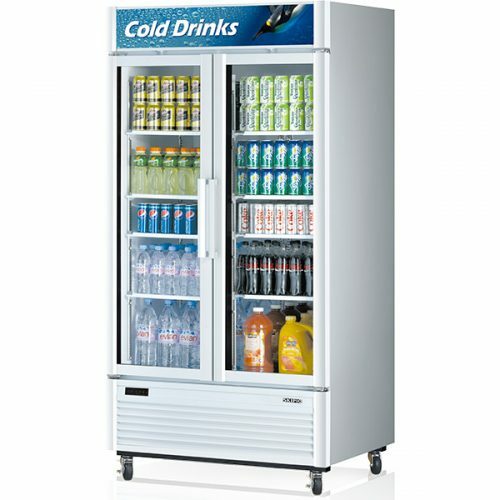 Also, beverage drinks & cans, fruit and veg, meat display and general, refrigerated goods. 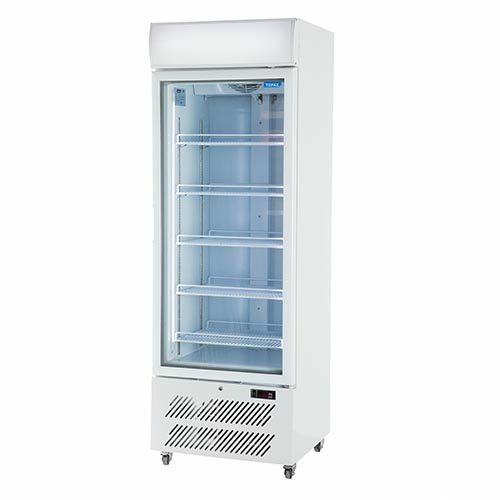 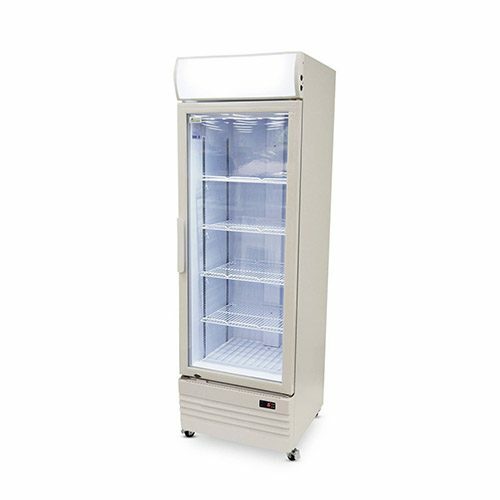 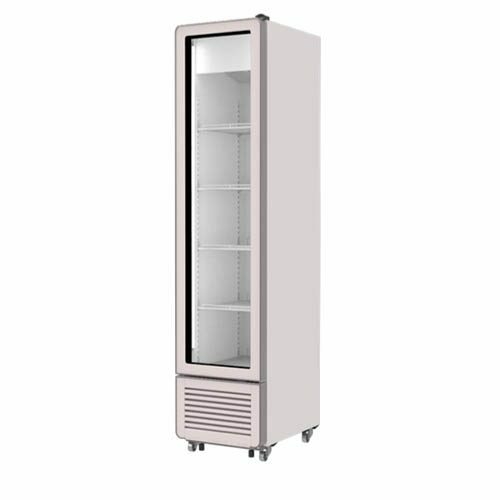 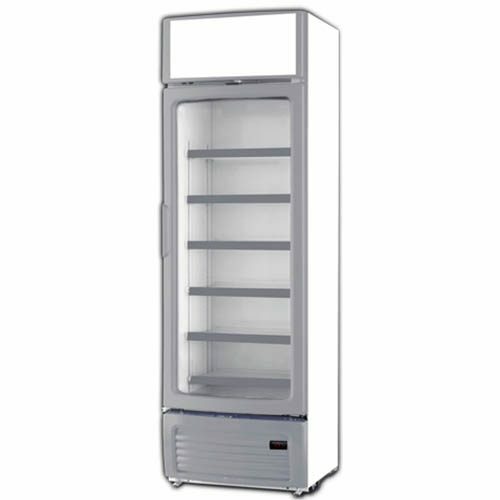 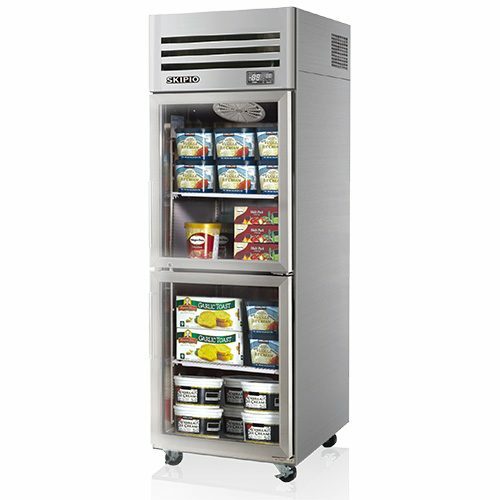 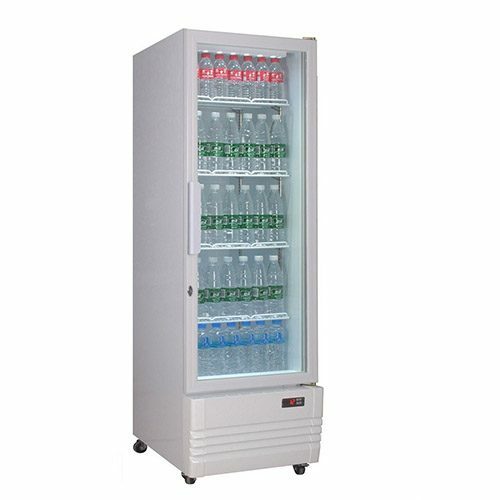 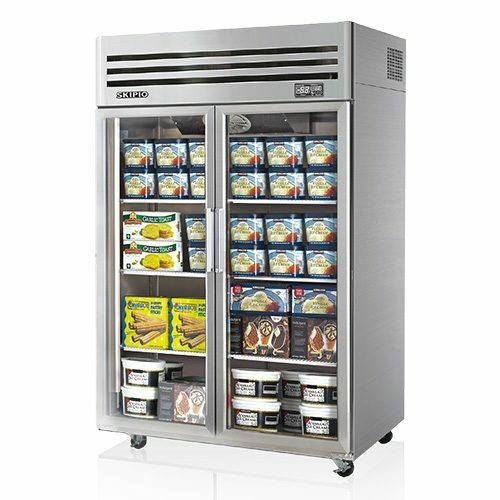 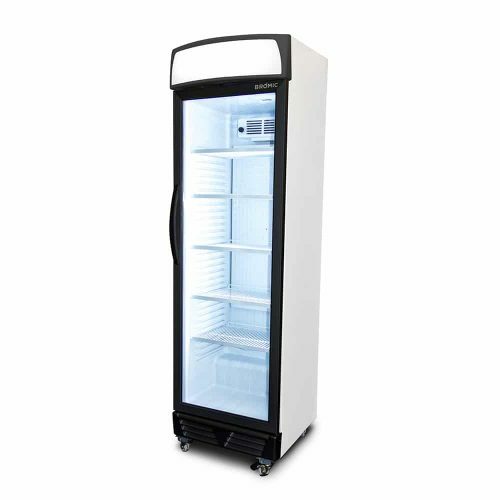 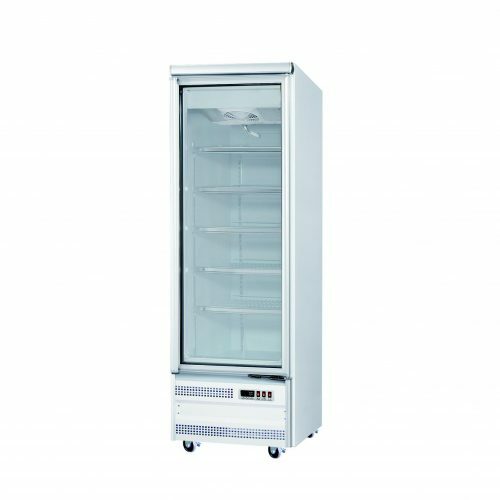 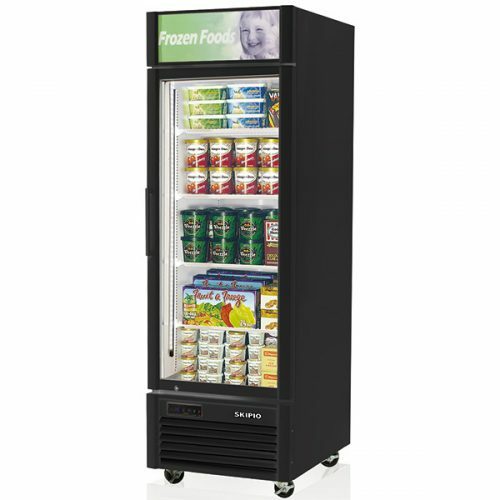 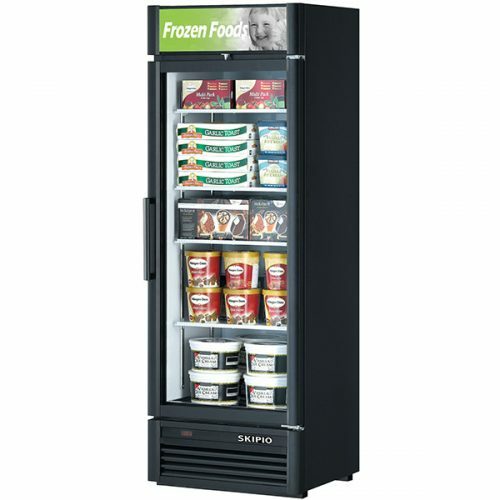 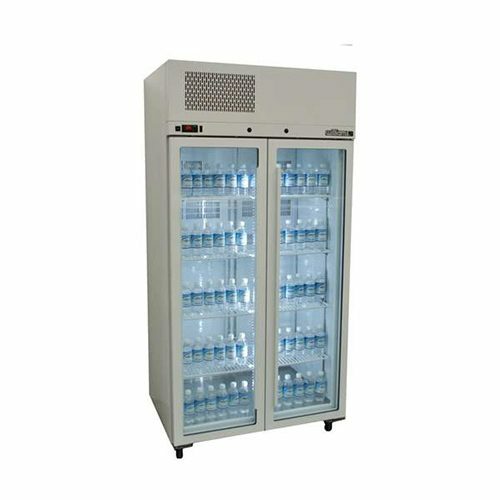 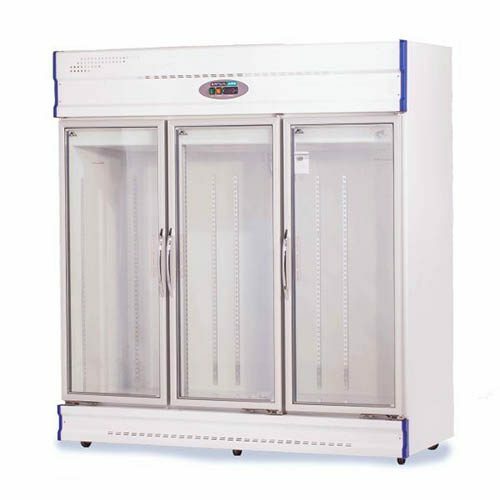 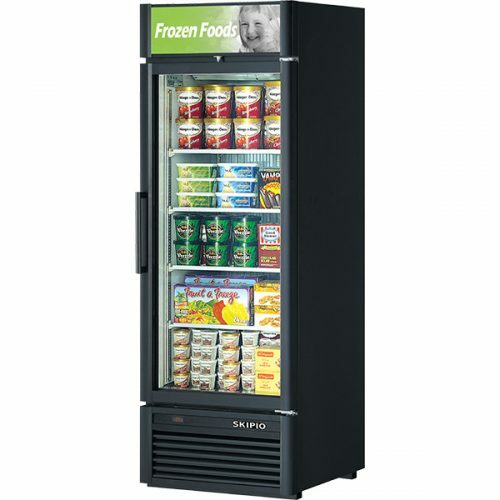 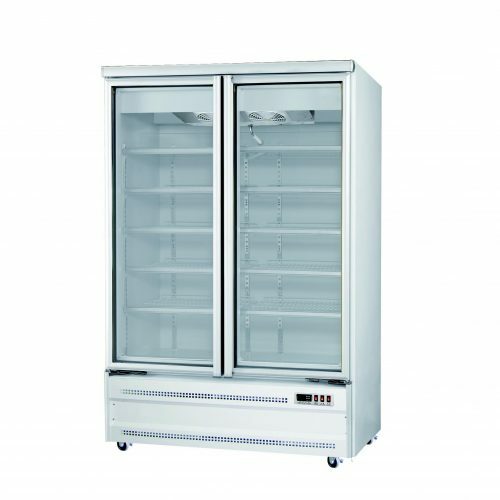 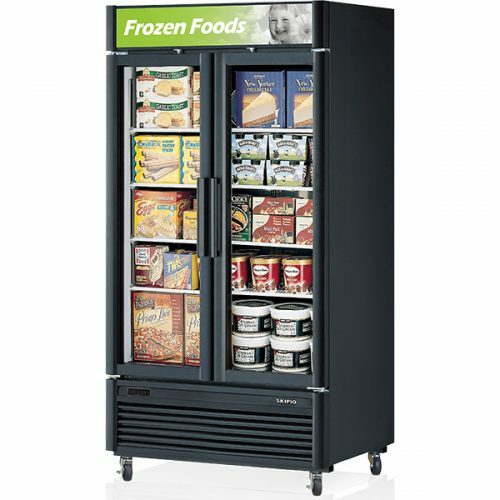 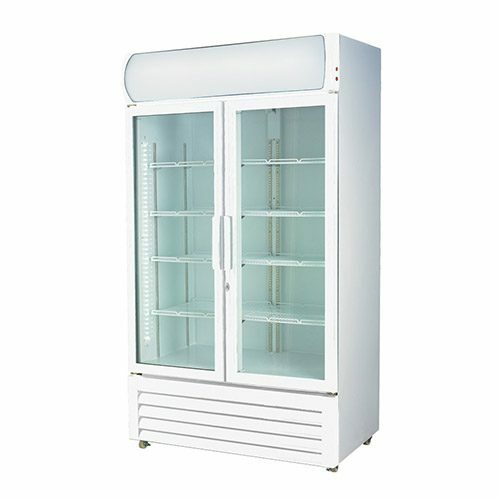 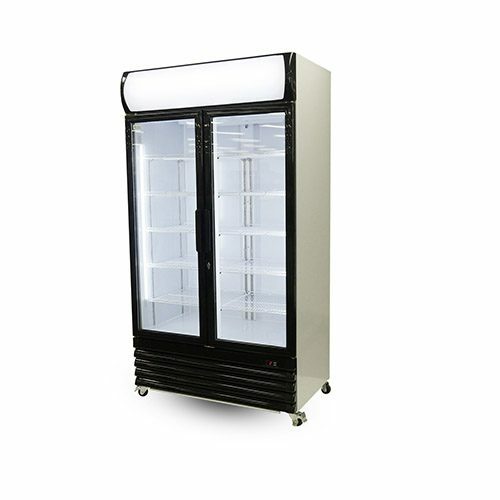 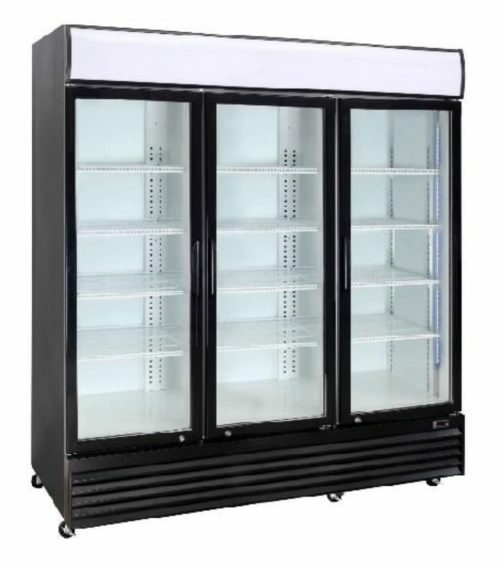 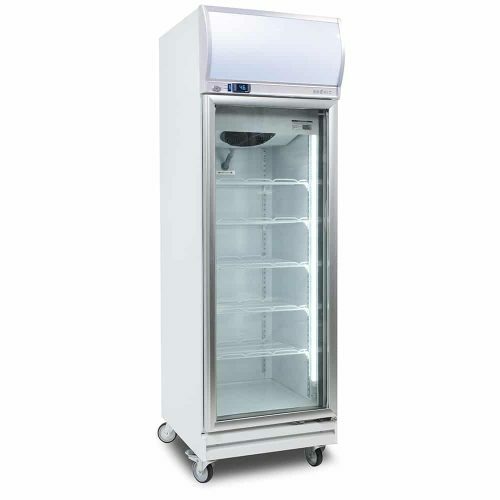 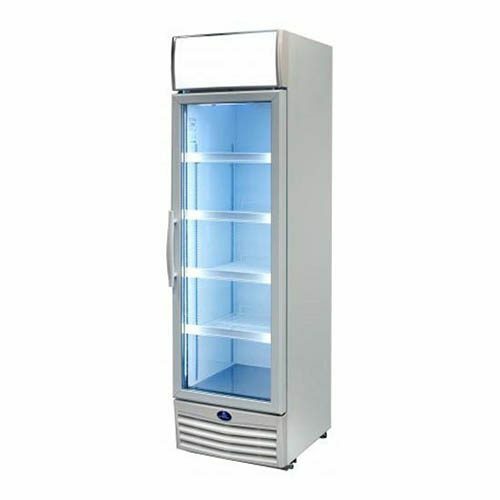 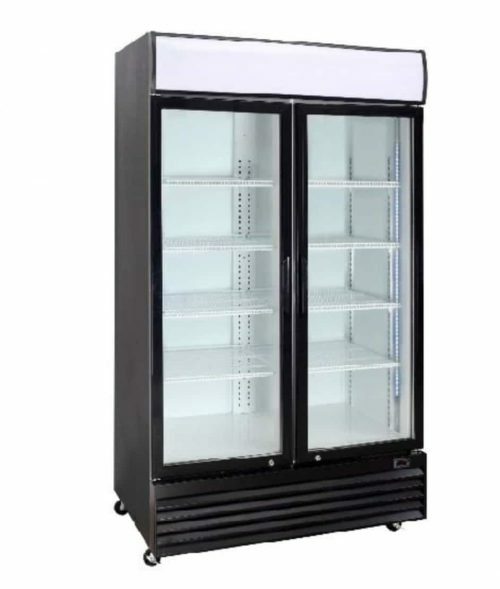 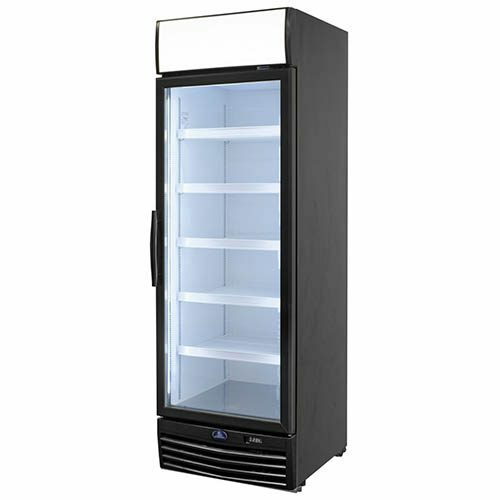 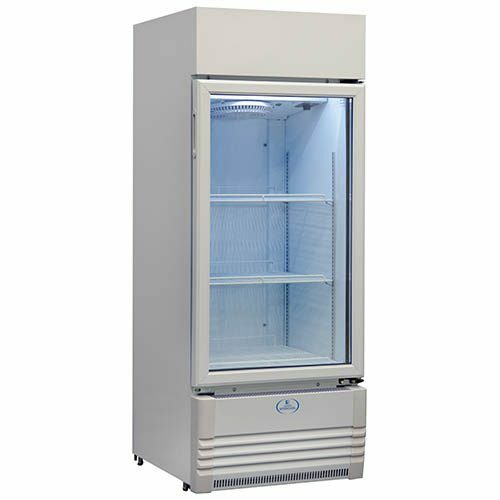 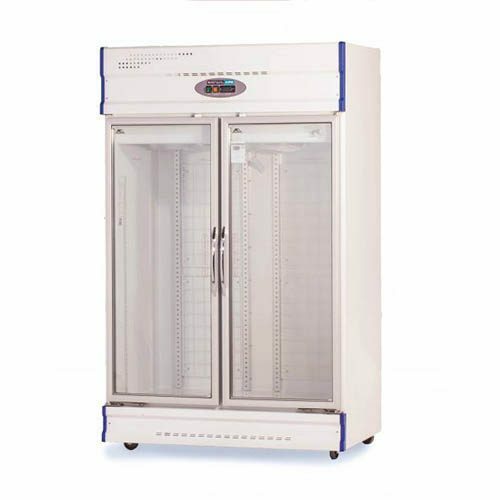 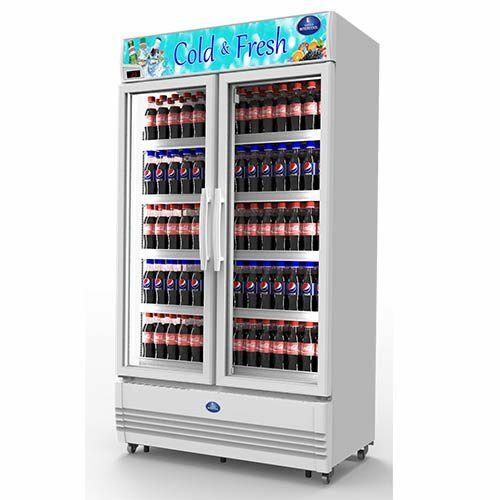 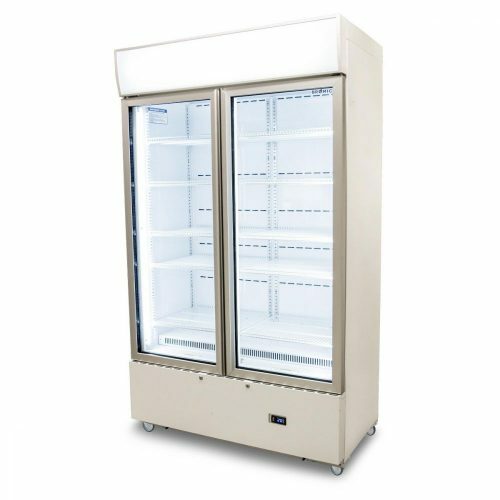 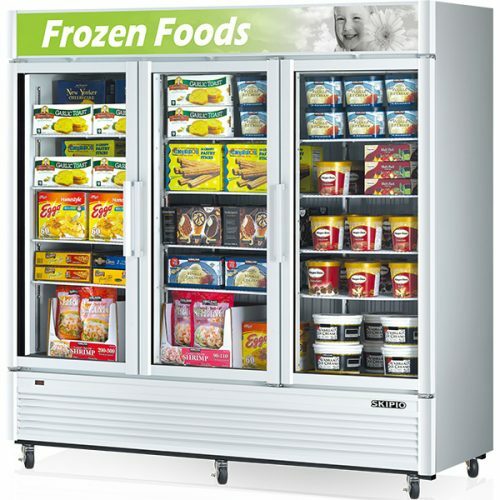 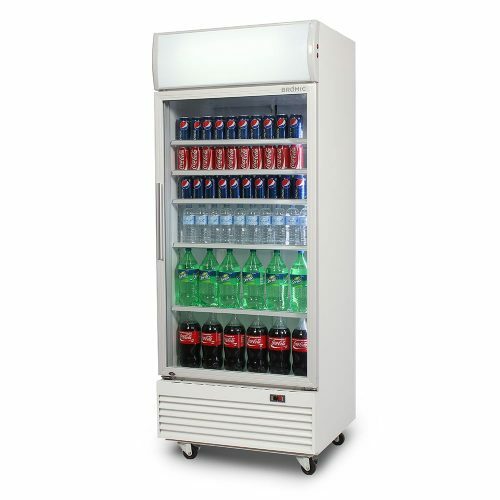 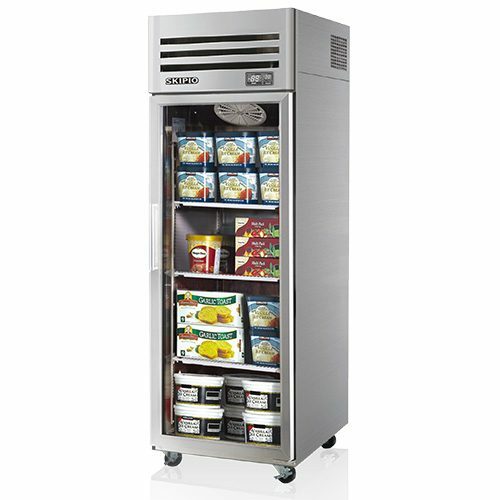 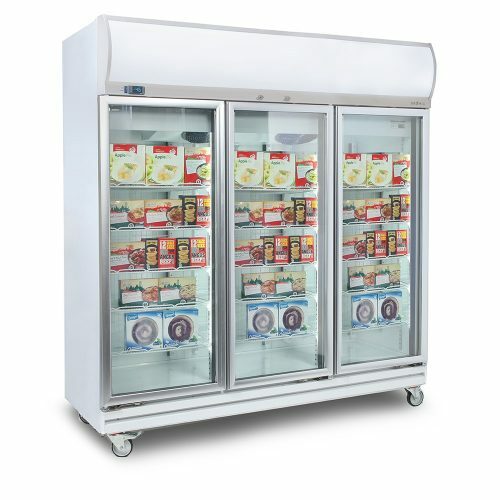 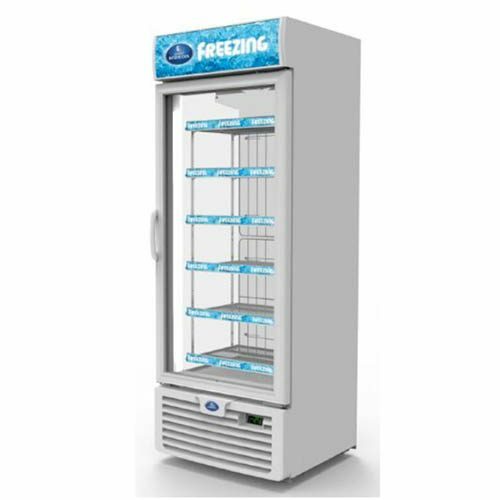 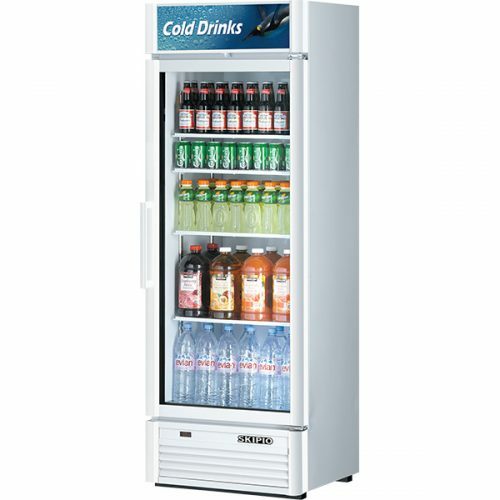 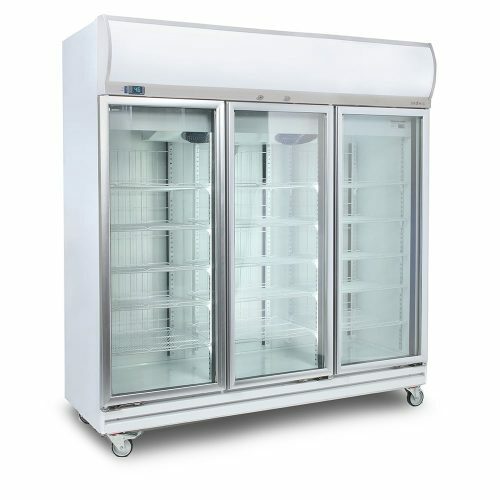 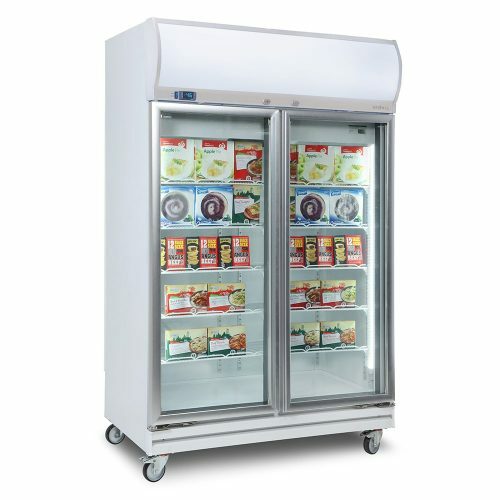 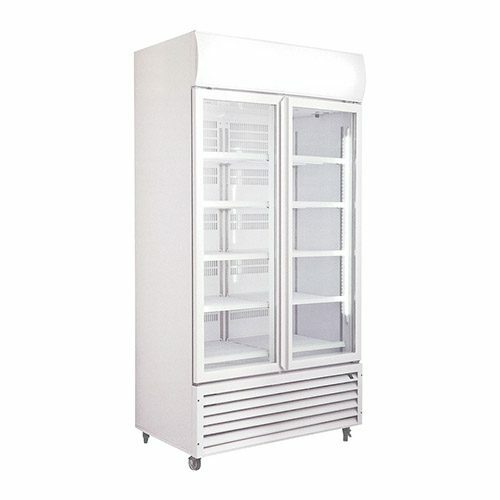 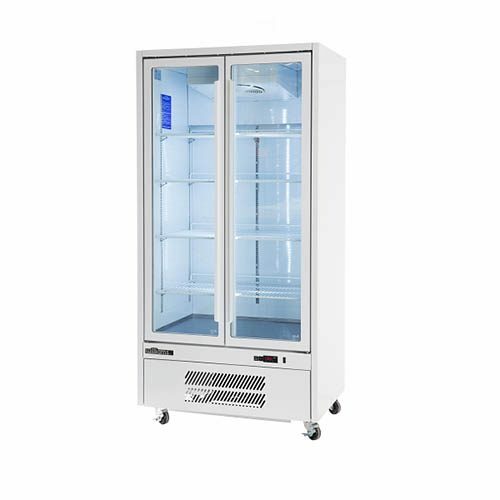 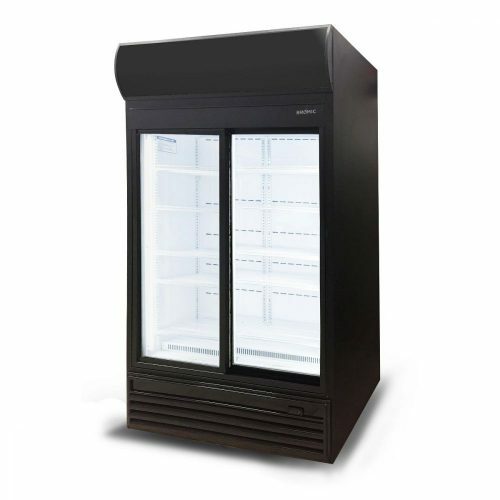 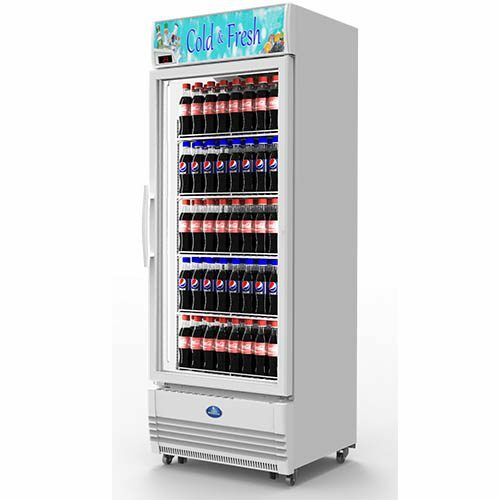 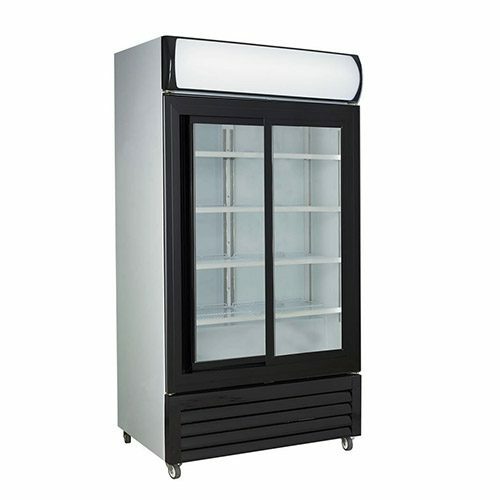 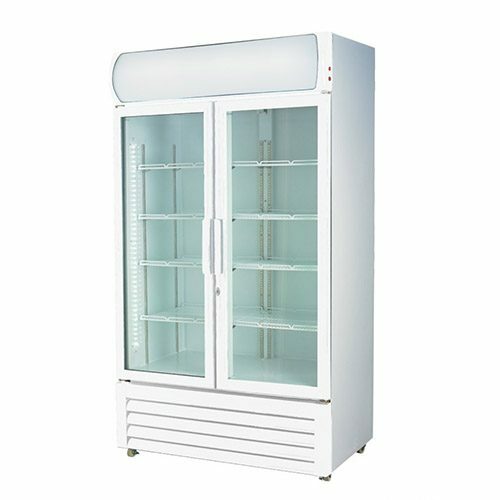 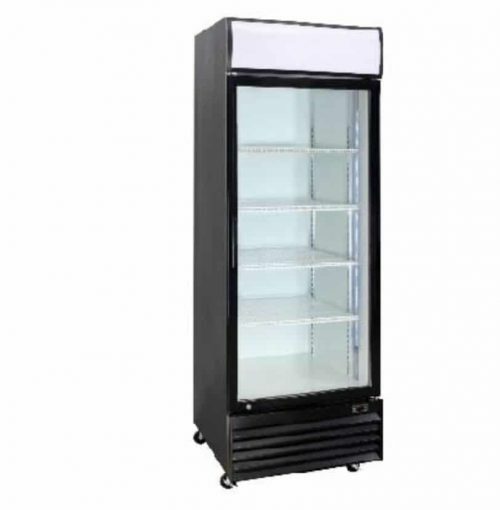 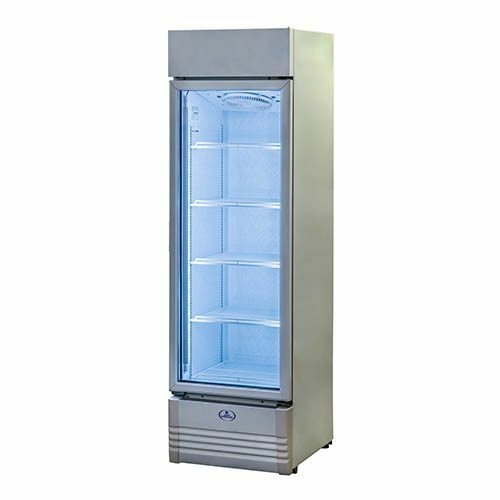 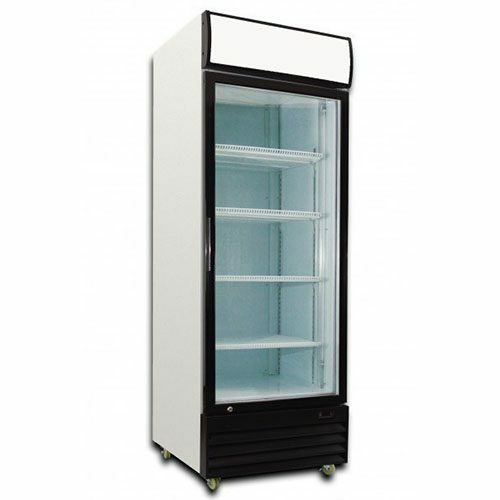 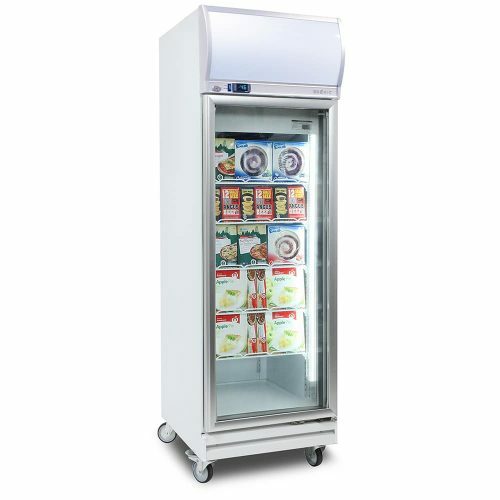 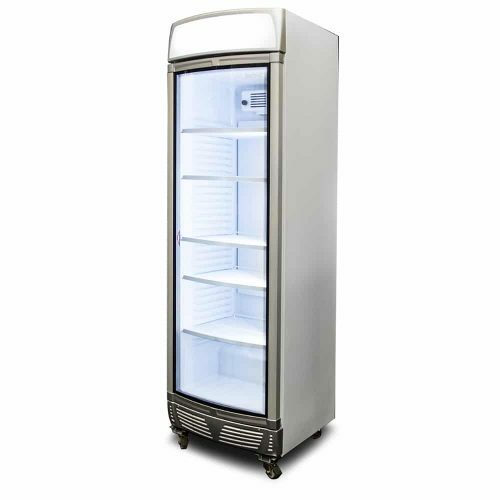 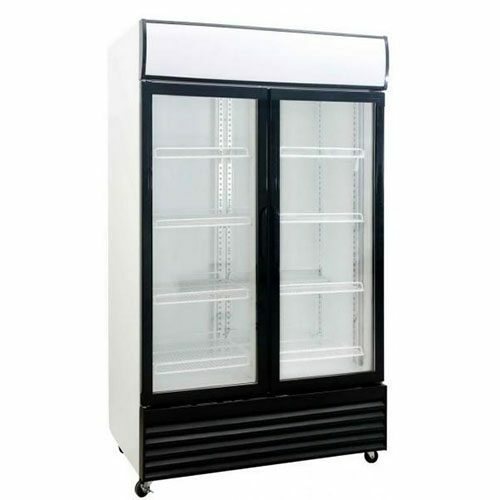 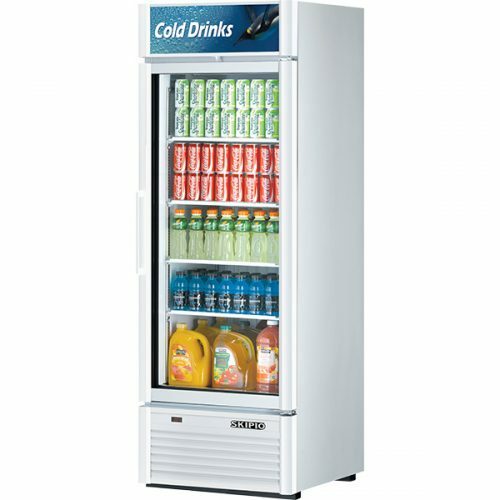 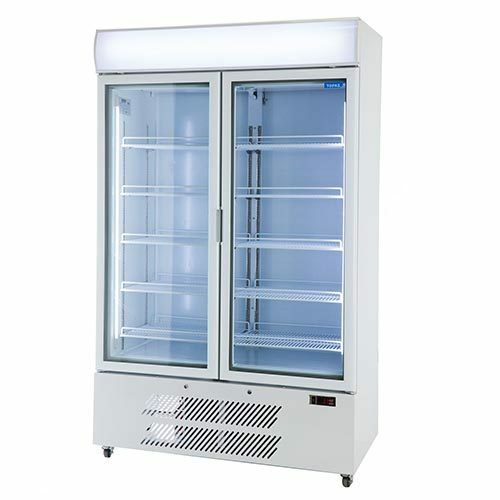 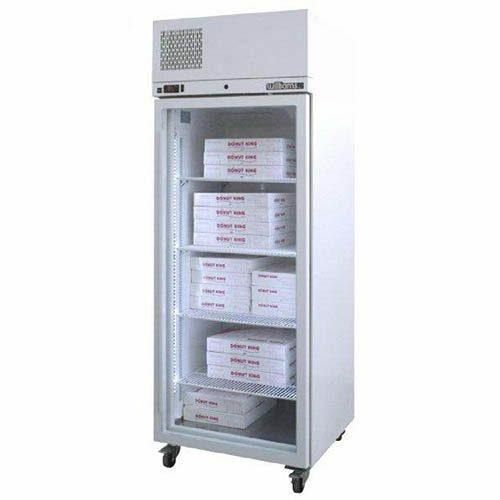 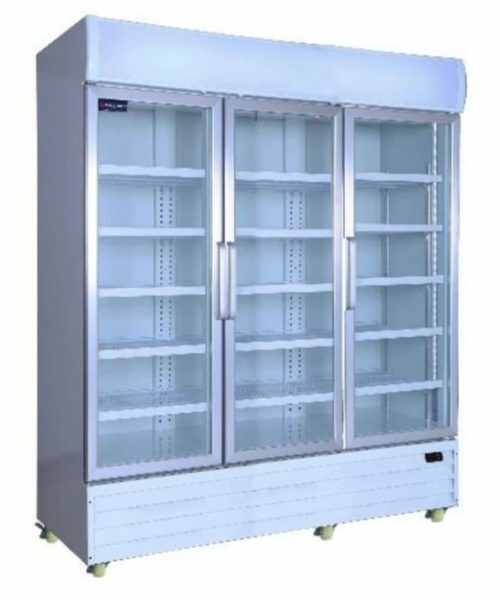 With an upright display freezer, they are perfect for displaying frozen goods to the customer. 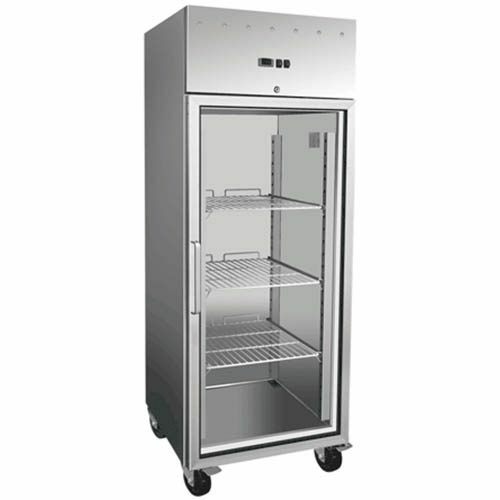 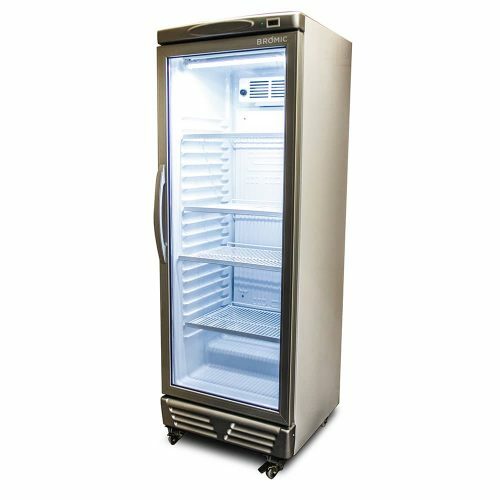 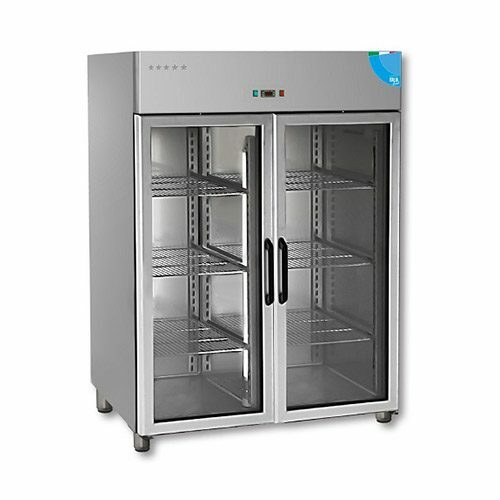 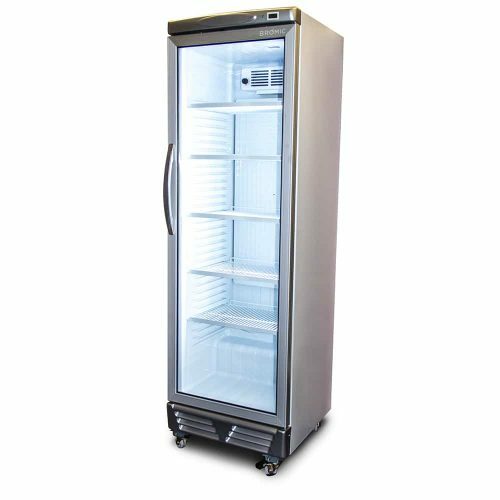 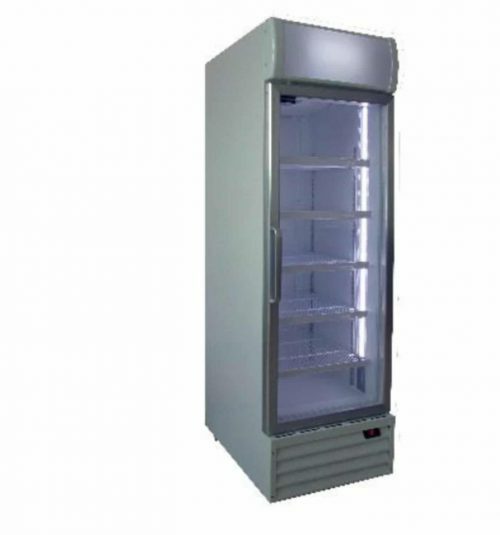 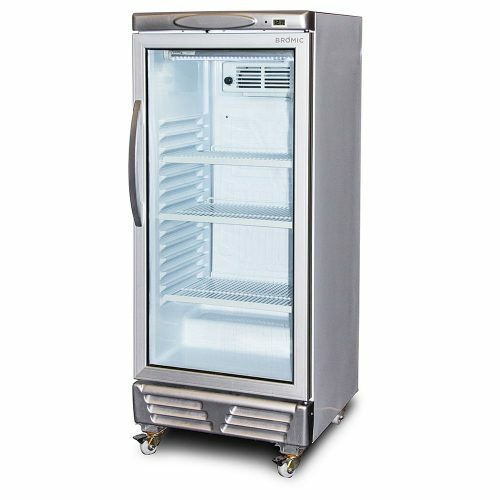 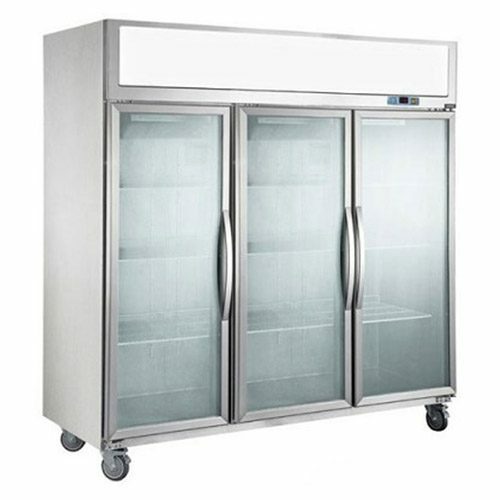 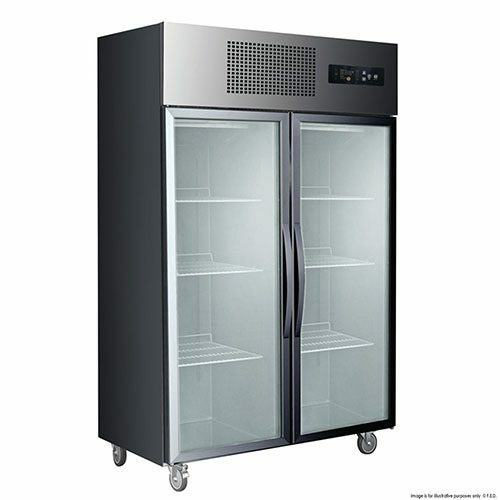 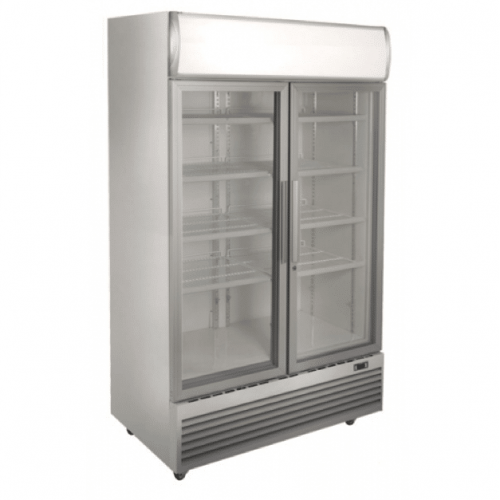 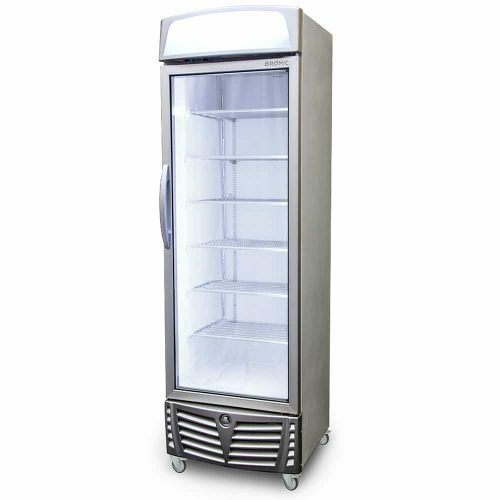 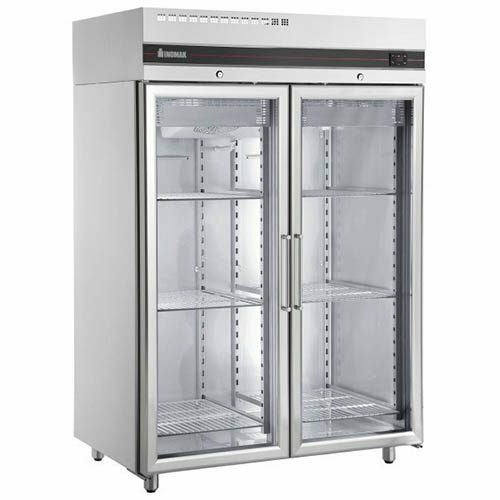 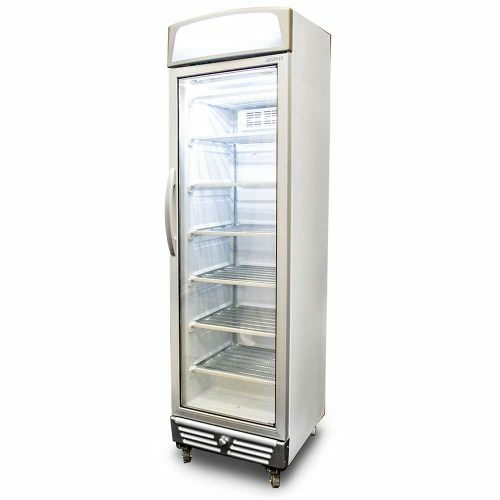 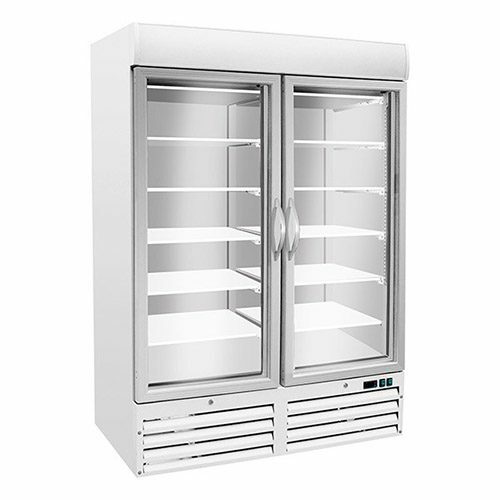 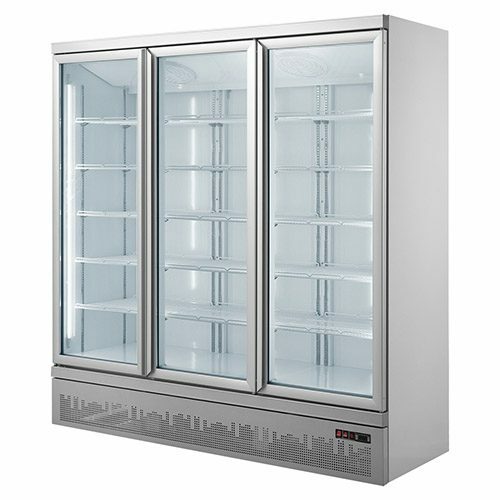 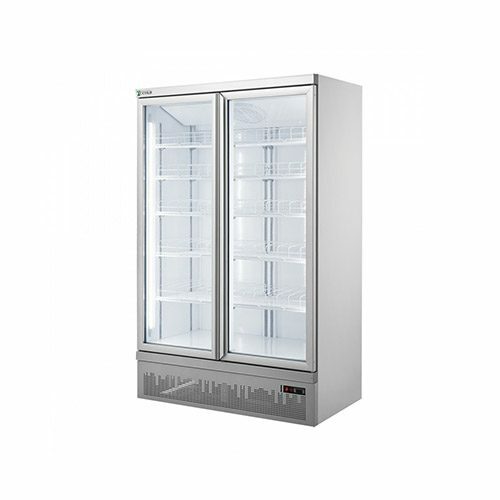 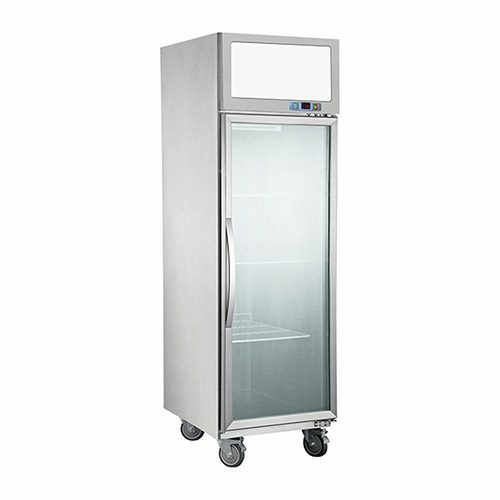 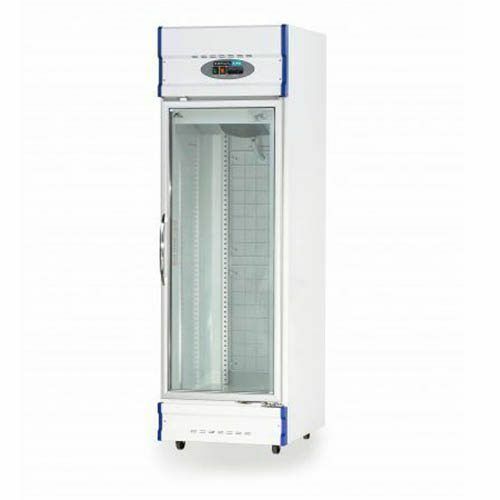 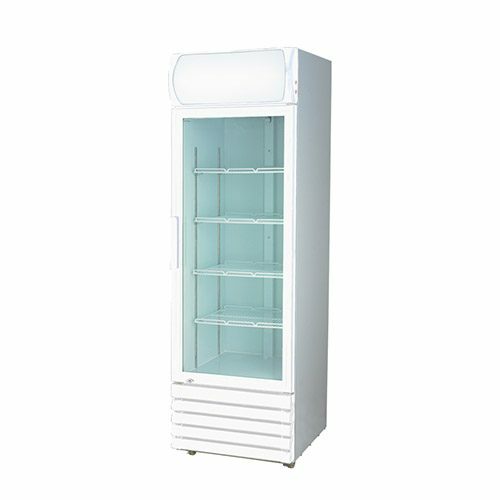 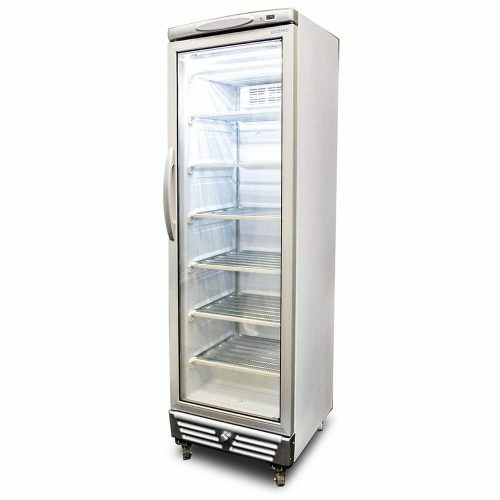 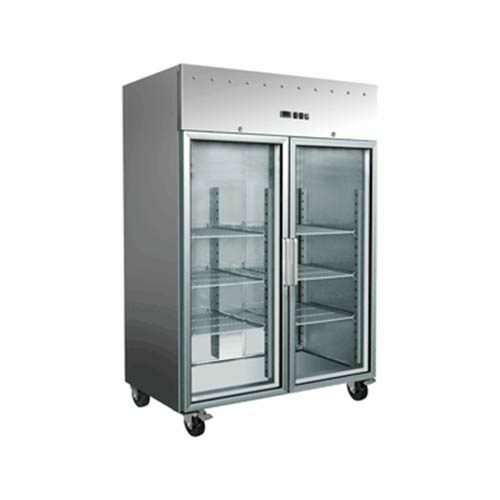 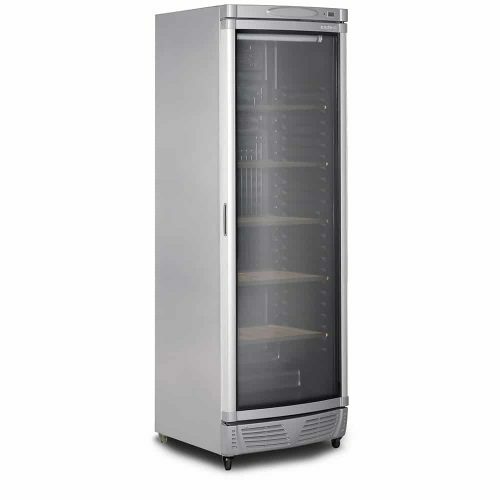 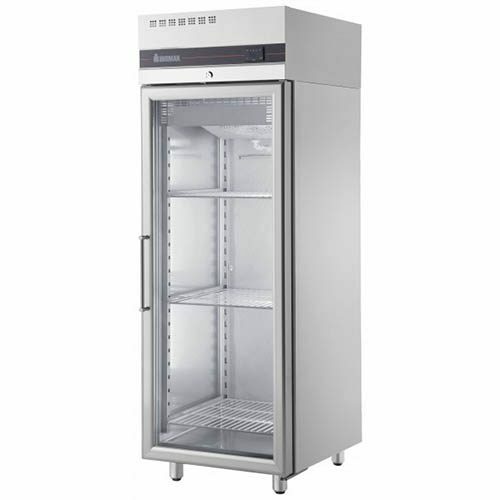 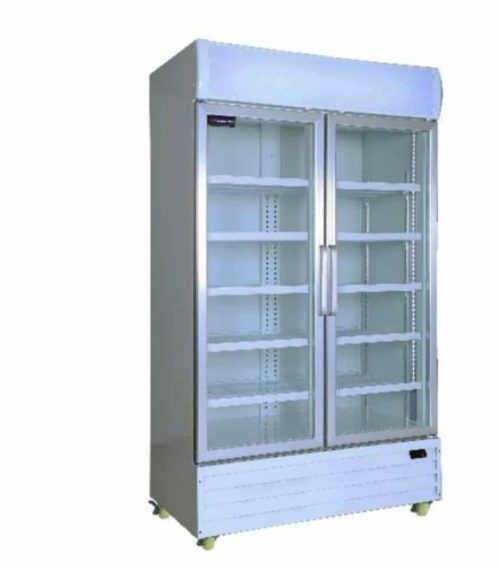 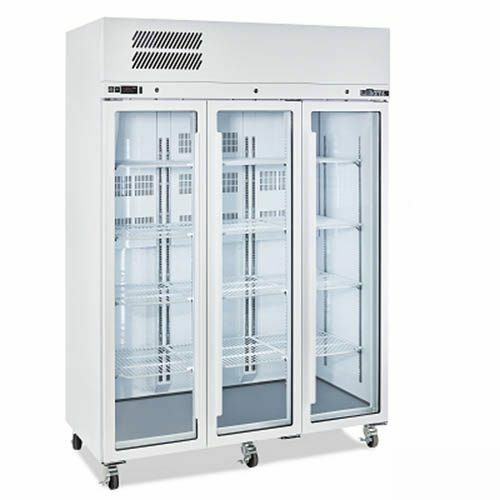 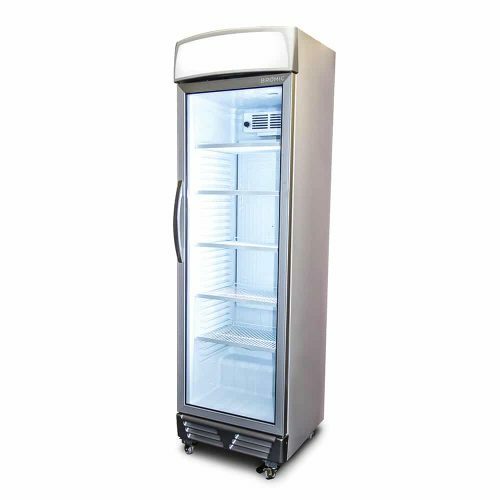 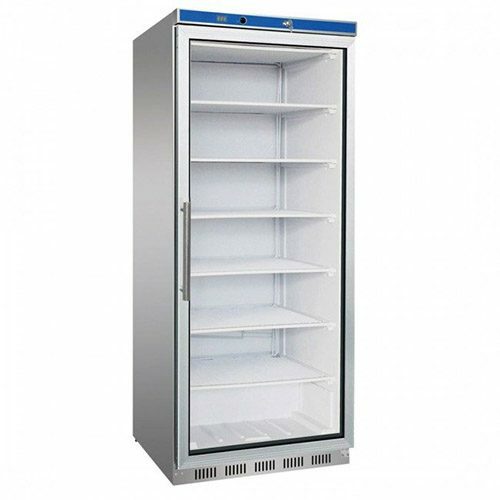 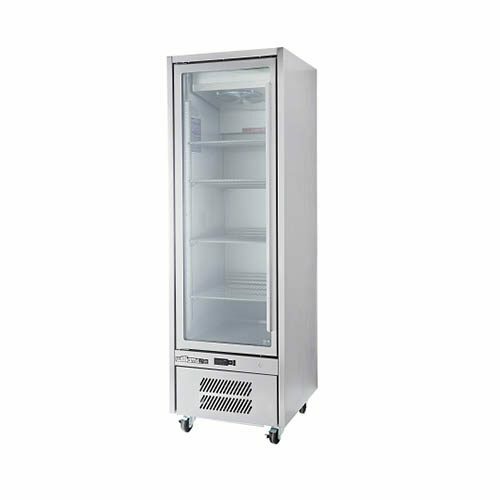 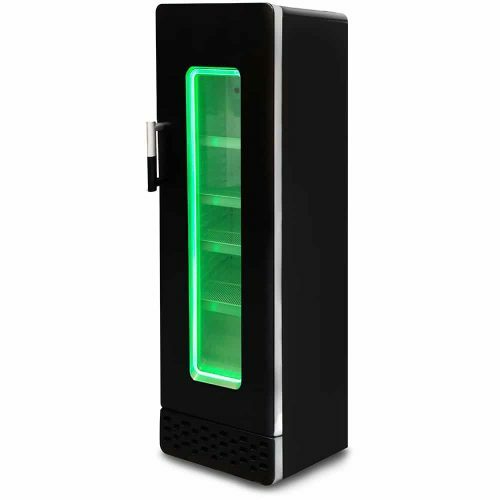 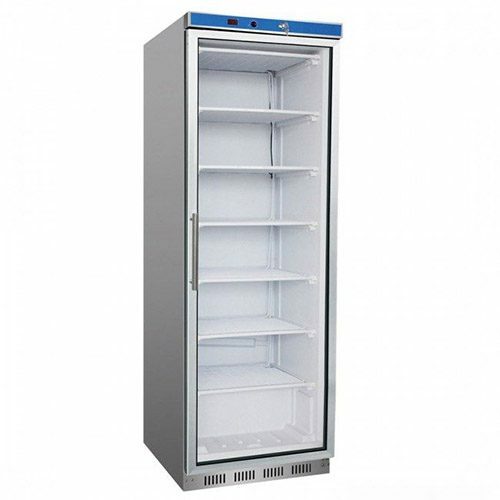 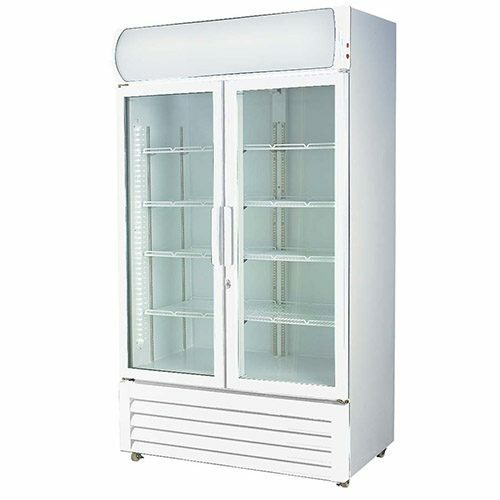 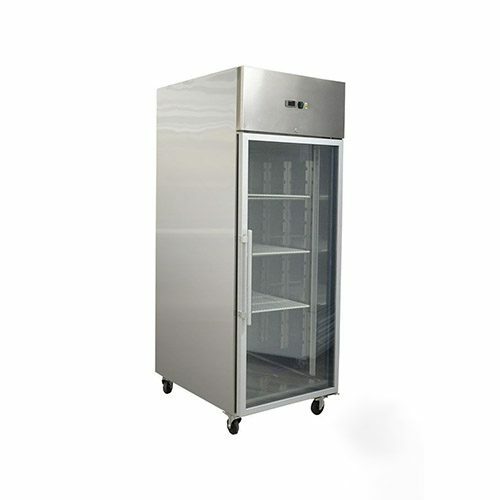 They can be used as a storage freezer but is advised to go with Solid Door Upright Freezers. 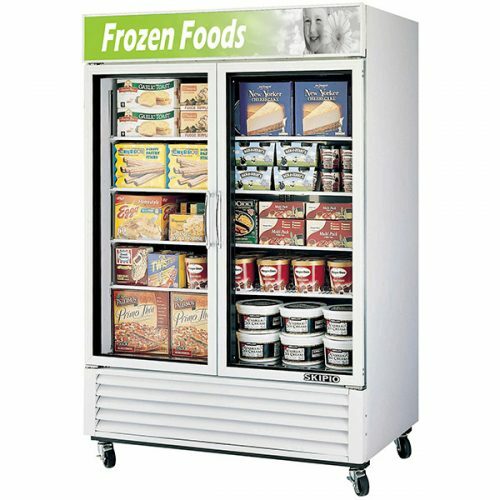 If it’s going to be a freezer that customers won’t have any access too. 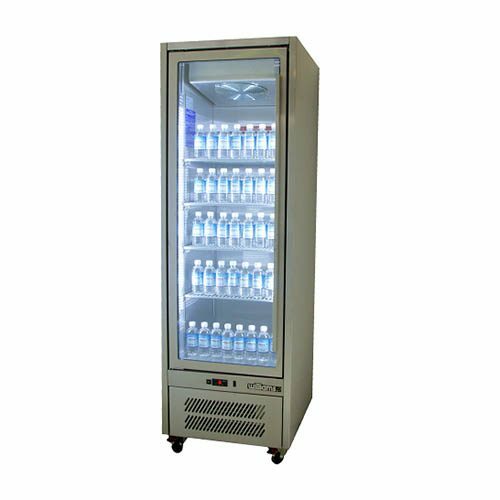 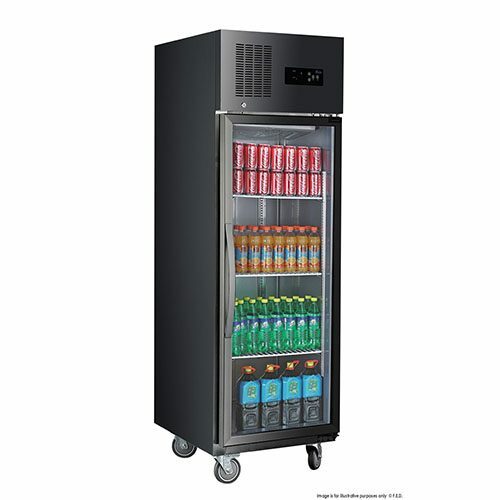 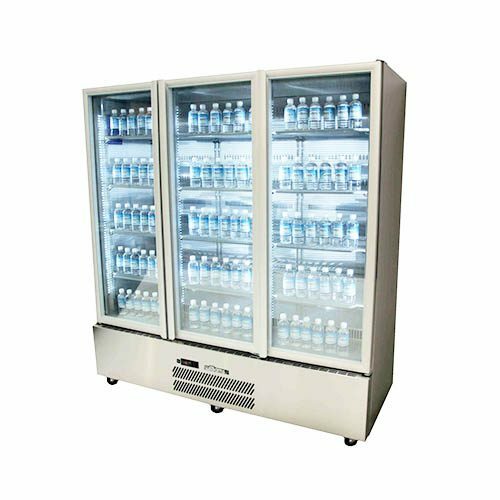 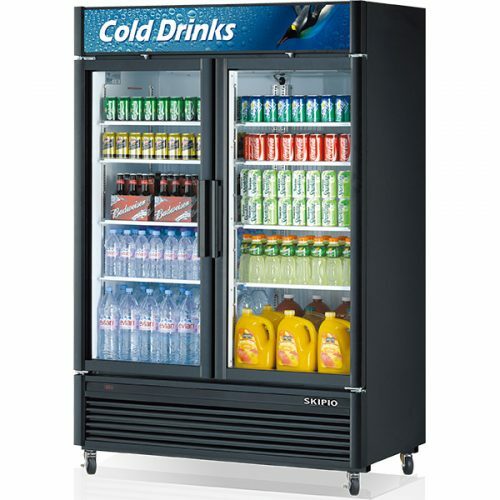 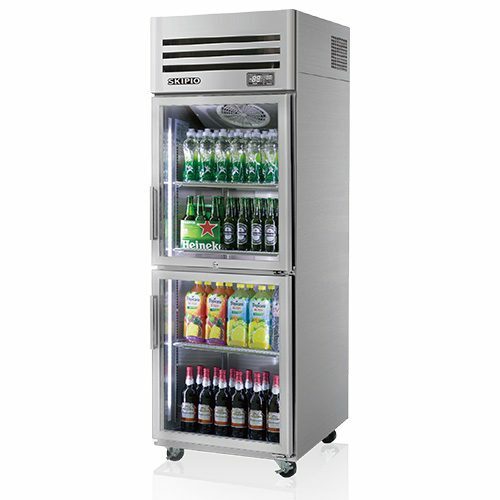 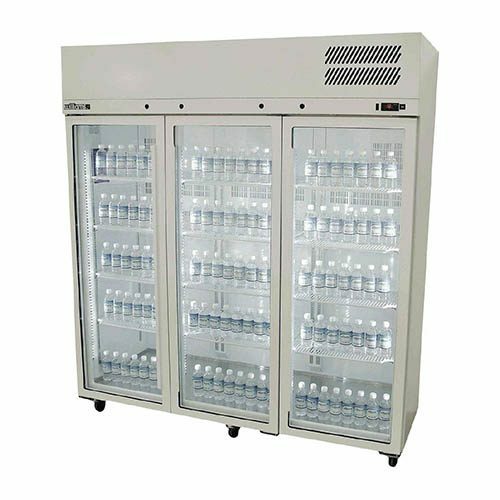 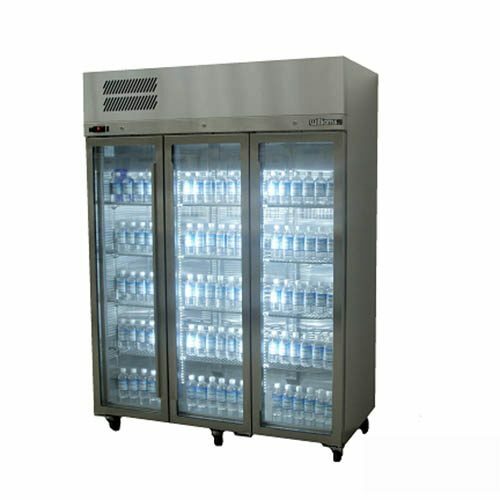 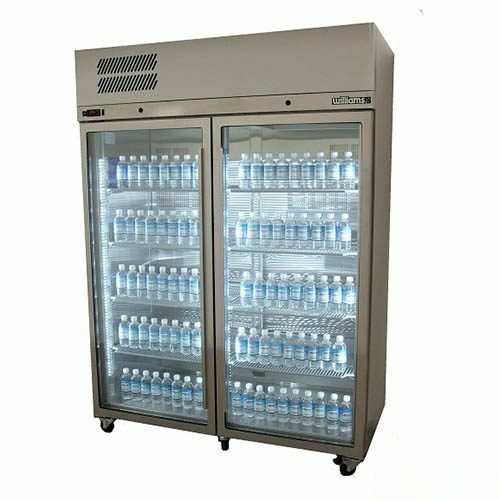 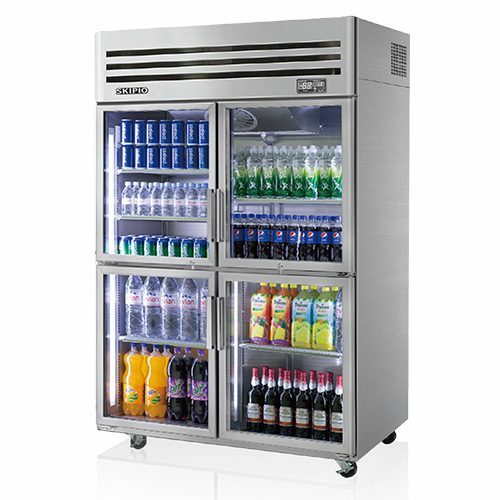 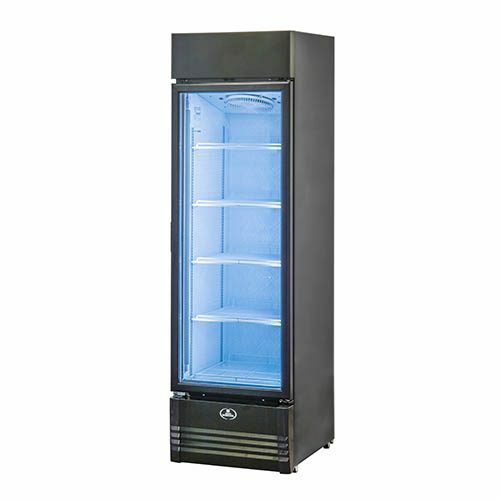 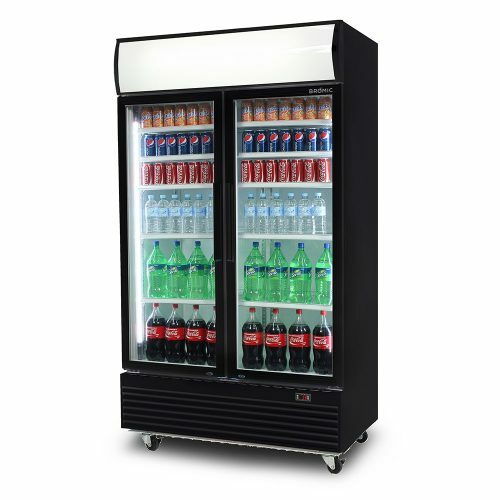 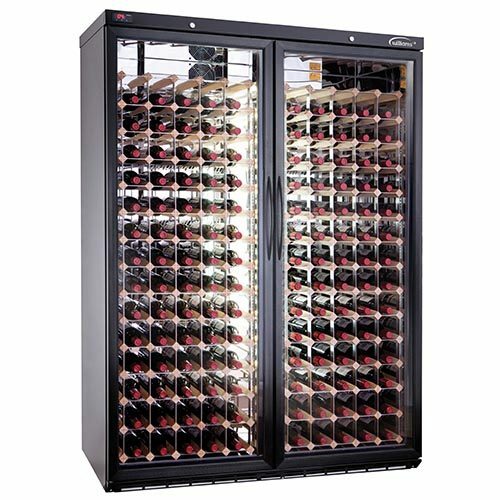 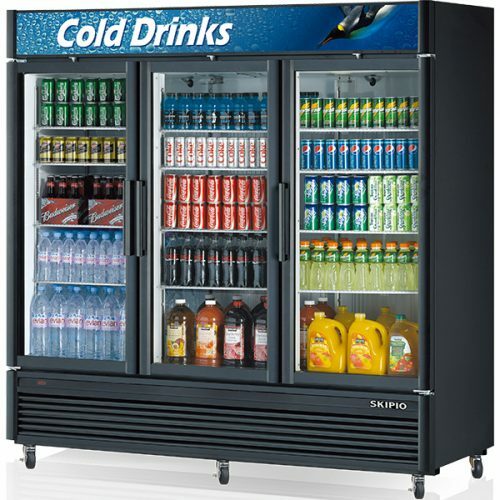 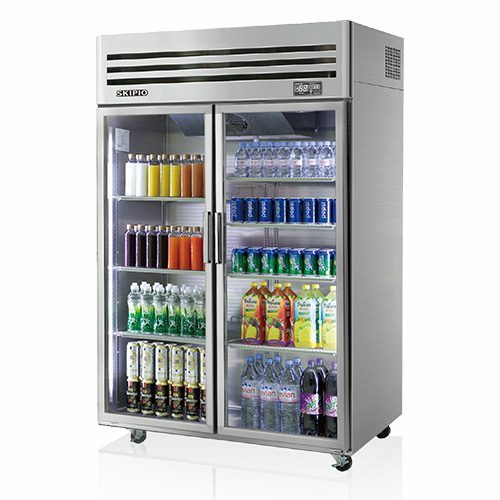 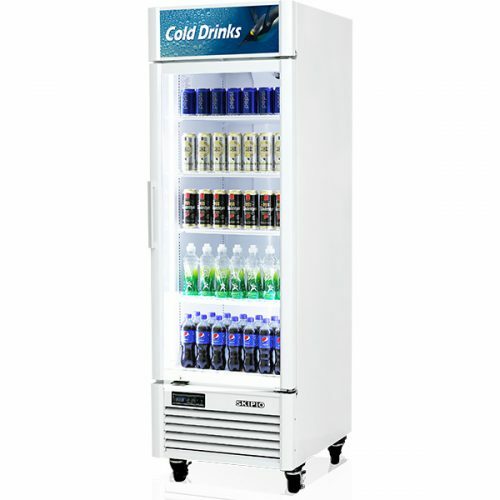 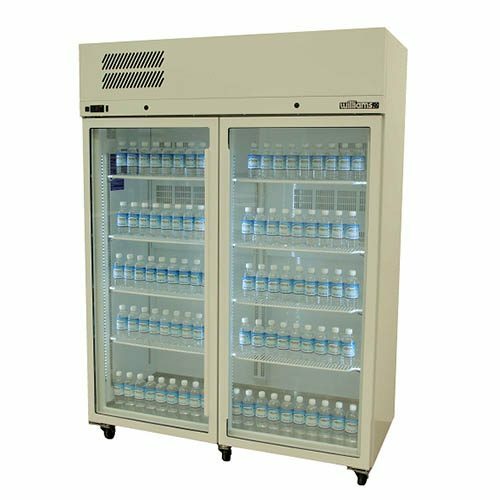 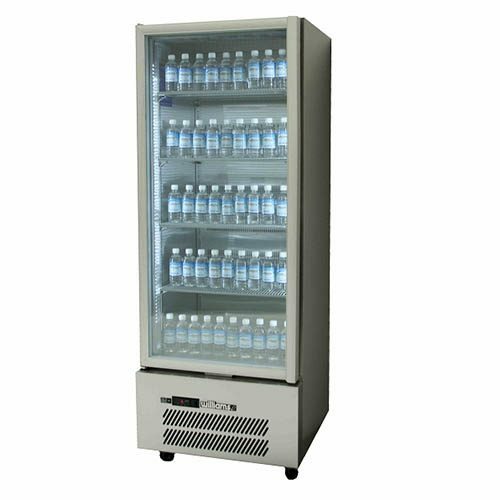 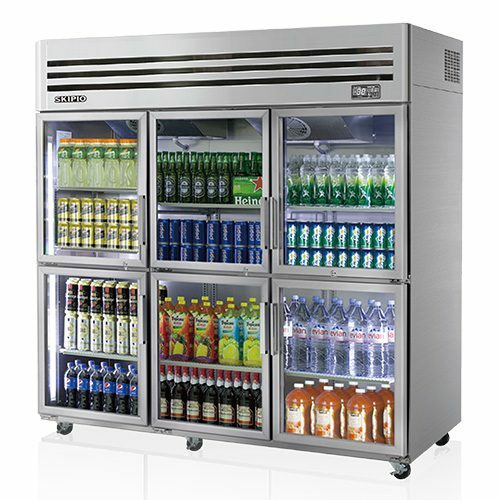 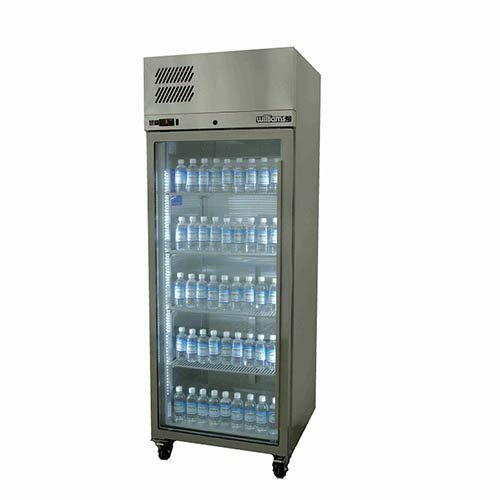 Upright Drink Display Fridges available in many different sizes, from a small single door fridge all the way up to a huge four-door glass display fridge. 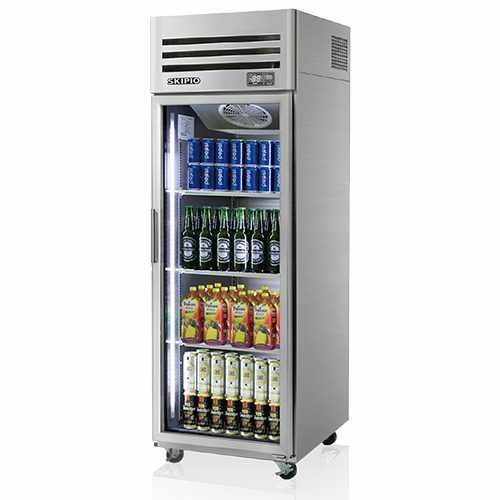 Perfect for establishments such as supermarkets. 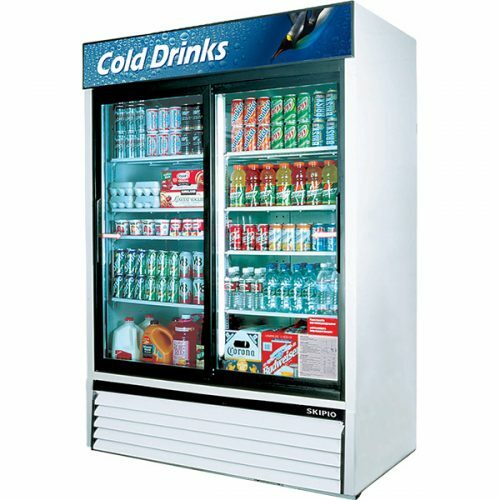 Also, bottle stores, bars, restaurants, modern convenience stores, petrol stations, and cafés. 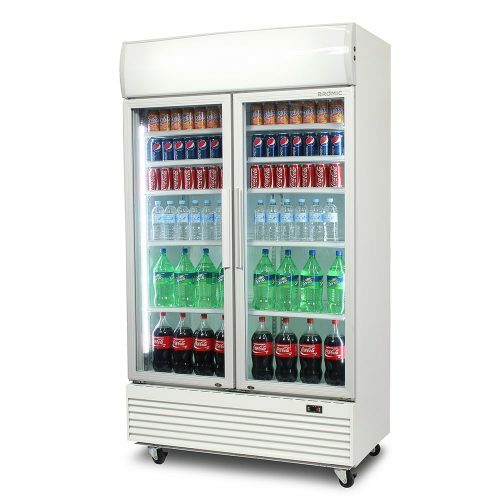 Choosing a Glass Door Upright Fridge & Freezer is a great way for people to view what you have on display, without the constant need to open doors. 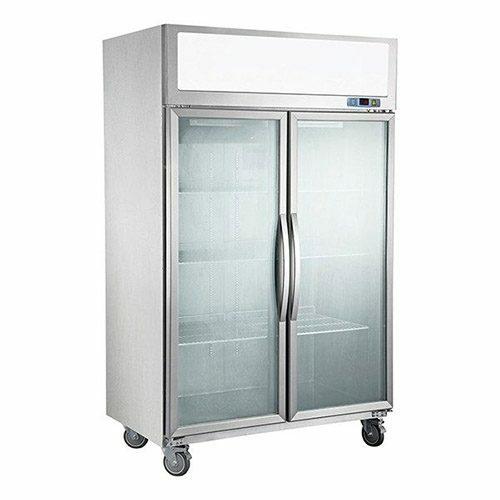 This is a great way of saving power from not having your doors open for so long compared to a solid door cabinet.